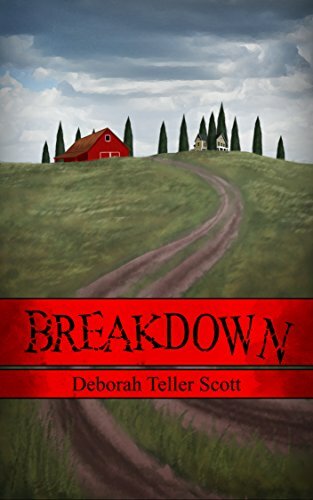 THE AUTHOR: Deborah Teller Scott. SUMMARY: When he’s sent to consult on a case half a globe away from New Scotland Yard, Detective Inspector Michael Dachemont is eager to reconnect with Kate Winslow, the author of popular children’s books he’d met months before on a highly publicized investigation in the south of England. His original assignment in the Pacific Northwest turns out to be not nearly as challenging as the puzzles that await him when he travels to Oregon to spend what’s left of his busman’s holiday with Kate’s family. In an environment as alien to Dachemont as any he’d ever experienced, there’s enough mystery to keep a squadron of detectives busy; but only one small-town country sheriff is on the job, and his objectivity is questionable. The trouble begins with a bit of graffiti, which turns out to be the deceptively innocent tip of a very deep and dark iceberg. Will Michael and Kate have time to see where their budding relationship leads? Or will the denouement come too late for them? THE BACK STORY: Downfall needed a sequel. Readers wondered what the future held for Michael and Kate and so, for that matter, did I. Since I live in the Pacific Northwest, it was a logical place in which to reunite them. I had the outline in mind for months, so when I sat down at my computer, the story more or less wrote itself. WHY THIS TITLE? Breakdown [breyk´-doun]: the failure of a relationship or of an effort to discuss something; a failure that prevents a system from working properly. WHY WOULD SOMEONE WANT TO READ IT? Modern cozy mysteries with interesting plots, wholesome dialogue, attractive characters, and a healthy dose of humor are rare, so I decided to write for those readers who long for the relatively good old days. 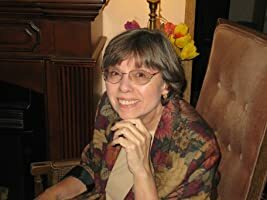 AUTHOR PROFILE: I still live contentedly in southern Oregon with a menagerie of rescue animals and a small circle of delightful friends. Besides keeping busy with a part-time job and satisfying, community-enriching activities, I enjoy writing stories that appeal to readers who miss the comfortable, satisfying style of story-telling that was common in simpler times. My period novel, The Bell Tower, will soon be republished. Available on Amazon now are my modern mystery novel in print, Deathbed of Roses, and two anthologies to which I contributed — “The Man Across the Table” in Gratitude With Attitude and “Lessons Grady Taught Me” in Pets Across America. AUTHOR COMMENTS: Despite the difficulties facing writers who venture into the rough waters of independent e-publishing—primarily the challenge of promoting our books so that they sell to more than friends and family—those of us who think we have something to offer and a readership to reach keep trying. Besides, writing down the stories we have closeted in our brains is fun and great free therapy. CONTACT THE AUTHOR: I appreciate hearing from readers and respond to every single one. Please contact me at DeborahTellerScott@gmail.com. Sounds intriguing. I will add this one to my ‘want to read’ list and will also look up Downfall for the same purpose. Good luck with the book!